President Barack Obama speaks at the National Defense University in Washington on Thursday. President Barack Obama in a major counterterrorism speech Thursday defended the American drone program, saying that despite the controversies around it, the strikes are legal and save lives. 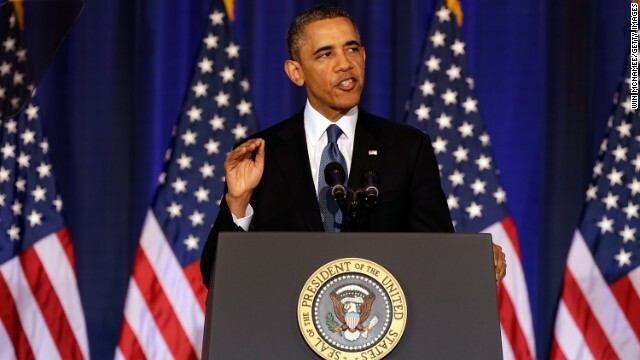 Obama said the use of lethal force extends to U.S. citizens as well. On Wednesday, his administration disclosed for the first time that four Americans had been killed in counterterrorist drone strikes overseas, including one person who was targeted by the United States. "When a U.S. citizen goes abroad to wage war against America - and is actively plotting to kill U.S. citizens; and when neither the United States, nor our partners are in a position to capture him before he carries out a plot - his citizenship should no more serve as a shield than a sniper shooting down on an innocent crowd should be protected from a SWAT team," Obama said. Not me anywhere above. I've been hijacked. I came to read and post and I found all this garbage. Whomever u are, stop it! Im leaving. I am NOT a troll.